Bluehaus Engineering is an established MEP Engineering Consultancy operated by a dedicated and passionate team from our head-offices in the United Arab Emirates and our Abu Dhabi, Dubai and Riyadh branches. Bluehaus Engineering supports clients and partners across the MENA region in multiple sectors from commercial, corporate, hospitality, retail and commercial residential. Bluehaus Group, the Architectural and Interior Design parent company for Bluehaus Engineering, was established in the Middle East in 2002. Formed as an MEP Engineering Division, initially to add value and deliver a greater level of detail and coordination to the Group’s clients and partners, Bluehaus Engineering was established in 2010. Over the years Bluehaus Engineering has developed strong professional relationships with many repeat customers resulting in an impressive independent client and partner list. From the association with its parent Architectural and Interior Design practice an engineering business has grown staffed by many of the best MEP designers in the region who understand the importance of coordination, attention to detail and equally as important, relationships. A proven track record of delivery and repeat business. 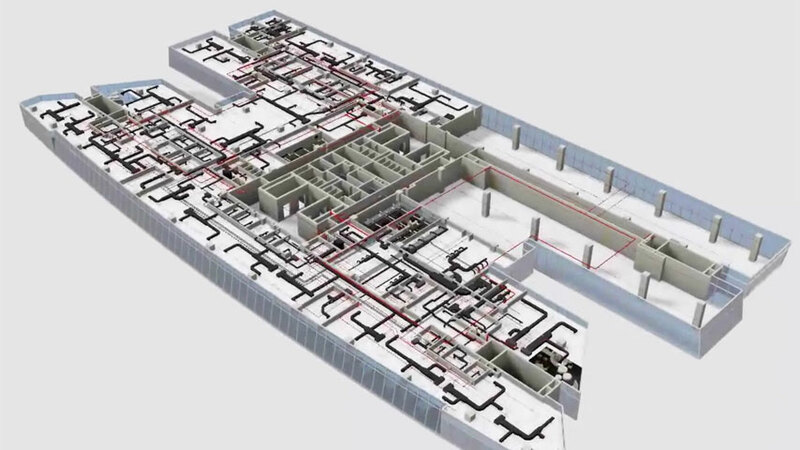 BIM (Building Information Modelling) fully integrated across the business. Laser surveying technology fully integrated to deliver greater accuracy. A considerable blue-chip and multinational client portfolio.